Brett Ryan, 36, pleaded guilty in Toronto last month to killing his mother and two brothers using a crossbow and crossbow bolts (similar to arrows). He was sentenced to life in prison. Ryan had told his fiancee, Kristen Baxter, that he was a university graduate and working at a computer job. In reality, he never graduated and lost his job when his employer discovered that he was a convicted bank robber. Last year, Ryan’s mother, Susan, learned he was lying to his fiancee. Susan gave her son an ultimatum — tell his fiancee the truth, or she would. On August 25, 2016, Ryan stabbed his mother with a bolt and strangled her, shot his brother in the back of the head with his crossbow, and stabbed another brother with a bolt. 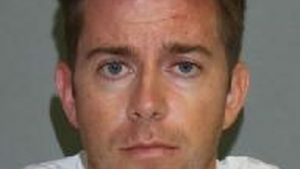 Crossbow killer Brett Ryan murdered family to hide his deceit, on TorontoSun.com. Accused in crossbow killings robbed banks after racking up debt in romantic relationships, on CBC.ca.